On Friday, France, Europe and the whole world experienced a significant escalation in the international terror campaign being waged by the Islamic State organization. The biggest terrorist attack to hit Europe in years, which caused a terrible bloodbath during the course of which hundreds of innocent people were killed and wounded, requires a precise investigation of the series of events before and during the attack; the policies of France, Europe and the rest of the world; as well as a probe of the current doctrine for countering terror in the West. From this perspective, it appears that France marks the misconception and Western failure when it comes to the way many European and Western countries deal with terrorism. It is interesting to note that most of the terrorist attacks carried out by Islamic- jihadist militants in Europe recently focused on France or have some connection with France. Take, for example, the attacks on the Charlie Hebdo magazine offices, the Hyper Cacher kosher supermarket in Paris, and even the one on the Belgium Jewish Museum in Brussels, carried out by the terrorist Mehdi Nemmouche, a Frenchman who crossed the border to Brussels and then returned to France. All signs point to ISIS terrorists carrying out the simultaneous attacks on Friday night, even though they reflect a change in the modus operandi usually adopted by the organization and an adoption of the methods used in the past by al-Qaida in complex, multi-faceted, meticulously planned attacks carried out by well-coordinated cells. Contrary to past attacks carried out by ISIS in Europe and France, which were for the most part executed by lone wolves or a small group of relatives or friends inspired by Islamic State but without receiving operational aid from the organization, this time the attacks probably were carried out by a cell that was enlisted, trained and given support and operational instructions from the organization. The terrorists who executed the attacks Friday night might have been part of a sleeper cell of European Islamist “foreign fighters” who returned from Syria and Iraq and maintained contact with ISIS as its operators in France. According to French security sources, there are many dozens of such ISIS operators in France who fit this description. Another possibility is that the attacks were carried out by a cell that infiltrated into France from outside with the express purpose of executing them (on the model of the 9/11 attacks in the United States). In this case, it is possible that the terrorists came from Syria, Iraq or other countries under the guise of the recent mass wave of migration to Europe. The attacks in Paris indicate a very high level of planning, preparation and execution capabilities. They involved coordination of massive attacks in a simultaneous or gradual fashion at six different locations, during which separate cells carried out attacks at around the same time at different areas of Paris. In this case, the terrorist cells integrated shooting attacks, mass killings, suicide bombings and hostage-taking, while on the face of it, the terrorists all planned suicides rather than negotiating over hostages. The very fact that the terrorists included in their series of dramatic plans “the classical suicide attack,” signals that this was an organizational terrorist attack and not an independent initiative of a lone wolf. (In this context, it is worth noting that all the suicide attacks carried out in different parts of the world in which terrorists carried bombs and detonated them to kill as many people as possible were dispatched by organizations and not lone wolves. The model apparently used for the attacks in Paris was the model of the Mumbai attacks on November 26, 2008. Those were carried out by 10 Pakistani mercenaries fighting for Lashar-e-Taiba, an organization affiliated with al-Qaida that operates in India, Pakistan and Kashmir. During those attacks, the terrorists carried out mass killings of different sorts, including suicide bombings, indiscriminate shooting and taking hostages in heavily populated areas, tourist and entertainment centers. During those attacks, which lasted three days, some 173 people were killed. Organized attacks by terrorist groups, contrary to independent initiatives of lone wolves, are the most lethal and take the biggest toll of casualties. In attacks of this kind, there are also many more accomplices involved in the secret operation, including activists who initiated the attack, planned it, laid the groundwork for the operation, trained the terrorists and, of course, those who actually carried out the attacks. These attacks, therefore, allow intelligence agents a theoretical ability to infiltrate and thwart attacks more effectively than in the case of the lone wolf. With this in mind, the French security services in particular and the Europeans in general must carry out a thorough self-examination to discover how an attack of this scale went under their radar. The French must develop better intelligence capabilities alongside a more effective doctrine to cope with terrorism. 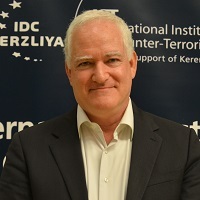 An effective ability to cope with terror requires a deeper understanding of the rationale behind the terrorists’ actions, their cost-benefit considerations, their motives (while distinguishing between “root ideological motivations” and “instrumental motivations”) in concretely executing their attacks. An analysis must be made of the operational abilities of the terrorist organizations – their methods of actions, recruitment and training, the kinds of attacks they are capable of executing, and their physical, human and operational infrastructure, their deployment, their psychological warfare doctrines, and more. At the same time, a country coping with terror must take into account the “democratic dilemma” emerging from the need to maximize the effectiveness of the war against terror while preserving its own liberal democratic values. France and Europe must now develop the appropriate legislation to grant the essential prerogative to security services to effectively combat terror, while at the same time preserving the necessary proportionality in their actions. In this context, Europe and France should reconsider and reassess their policies on foreign migrants, their border control of migrants entering their countries and their agreements to allow free travel from one country in Europe to another. Europe has to develop new ways to advance multicultural integration, so that only those migrants who are ready to declaratively accept the liberal democratic values of a European state will be granted citizenship. 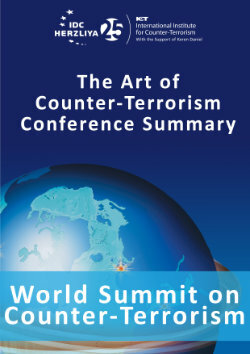 A balance must be found between countering the operational abilities of terrorist organizations via a continuous operational battle involving targeted killings of terrorists, arrests of terrorists, harming their military and operational infrastructure, drying out their financial sources, among other things, and at the same time dealing with the motivations and motives for terrorism. This, while acknowledging the current contradiction between the two, which finds expression in the phrase, “the boomerang effect” – the success of the state battle against terrorist organizations raises their desire for revenge. Last, but not least, a balance must be found between the need to call a spade a spade, and recognizing that the common denominator in most of the terrorists carrying out such attacks is their similar political-religious, Islamist-jihadist worldview. These terrorists are trying to impose their radical interpretation of Islam aimed at imposing their views of religious Islam on the whole world, and they are ready to do so by conducting terrorist attacks. It must be recognized that such terrorist attacks are aimed at advancing the establishment of an Islamist caliphate locally and globally that would operate under Sharia law. But these understandings must to be balanced with the fact that these dangerous terrorists and their supporters hardly represent a small minority within the Muslim world and, therefore, there is a danger of throwing out the baby with the bathwater by not equating Islam and Muslims with these dangerous extremist terrorists. Thus, it is essential that governments not take an ostrich approach combining lip service and political correctness with appeasement to the Muslim world while ignoring the extremist Islamist component of the phenomenon – the public. Indeed, one must avoid an Islamophobic response that ignores the fact that we are talking about a very small minority in the Muslim world, as dangerous as it is, that is seeking to impose its extremist views on the entire Muslim world through its radical interpretation of Islam. Many Western decision-makers don’t understand these fragile balances that need to be taken into consideration while contending with terrorism and, therefore, are failing to establish the needed effective counter terrorism doctrines. Decision-makers must recognize the fact that you don’t thwart terrorist attacks by your values, but by neutralizing their motivation through a nonstop battle against those who carry out terrorist attacks, and their backers. However, this battle must be waged while preserving the liberal democratic values of the western world.